As the season of skimpy dresses and fine cotton layers approaches, I was drawn back into a shop I've already shopped on Stylist Shops, by the amazing summer-wear edit in its windows. 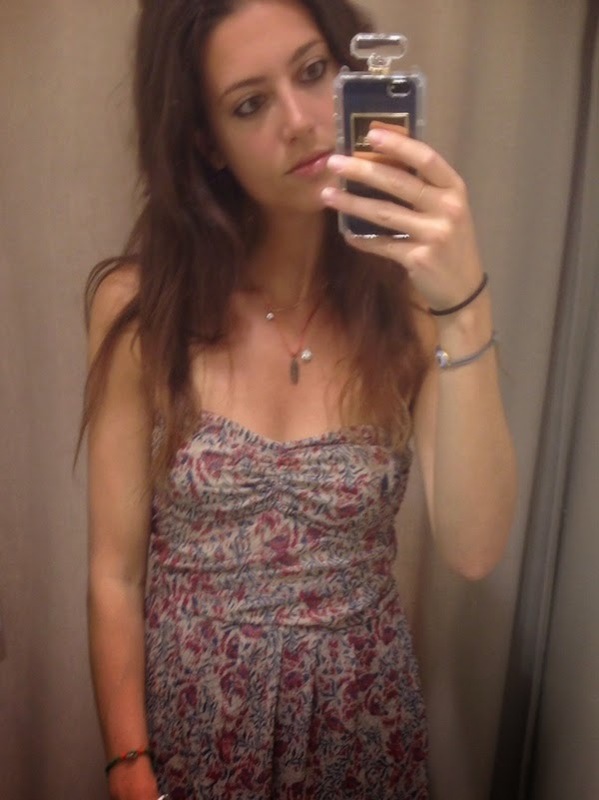 When it comes to summer clothing I simply can't resist Mango's selection of bohemian basics - that Isabel Marant feel at high street prices. 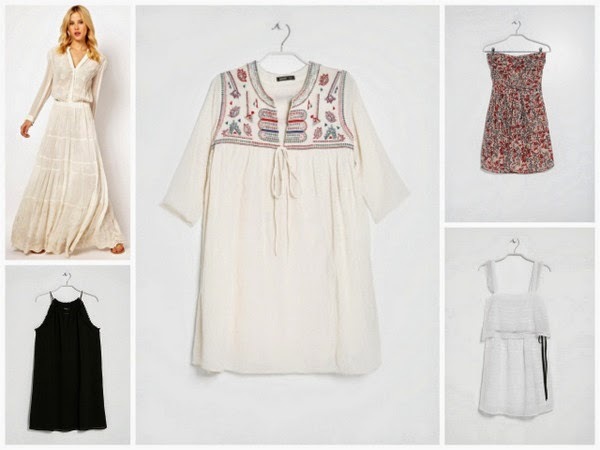 From top left: White Maxi Dress, White Embellished Tunic, Patterned Strapless Dress, Black Rope Detail Dress and White Cotton Dress. 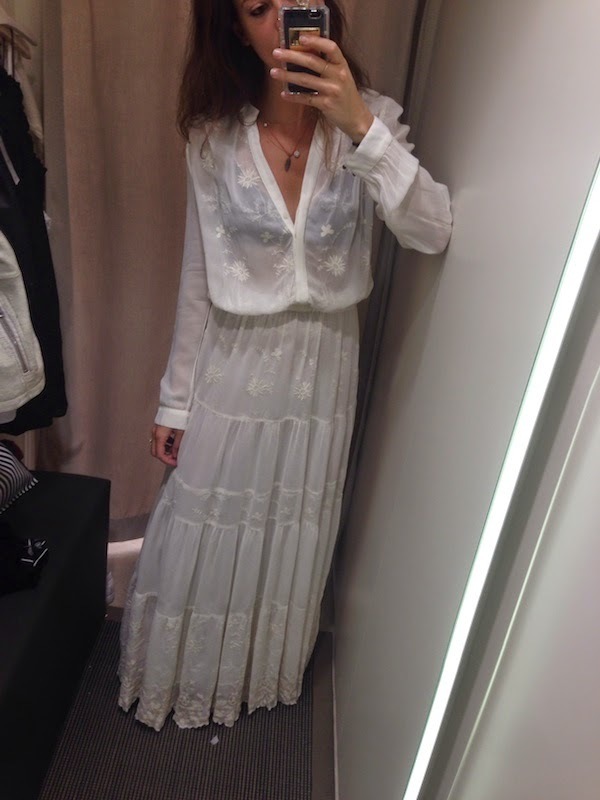 This white 70s style maxi dress (£117, size 10) is the perfect summer party piece (apart from weddings - no one likes the other girl in long and white at a wedding!). 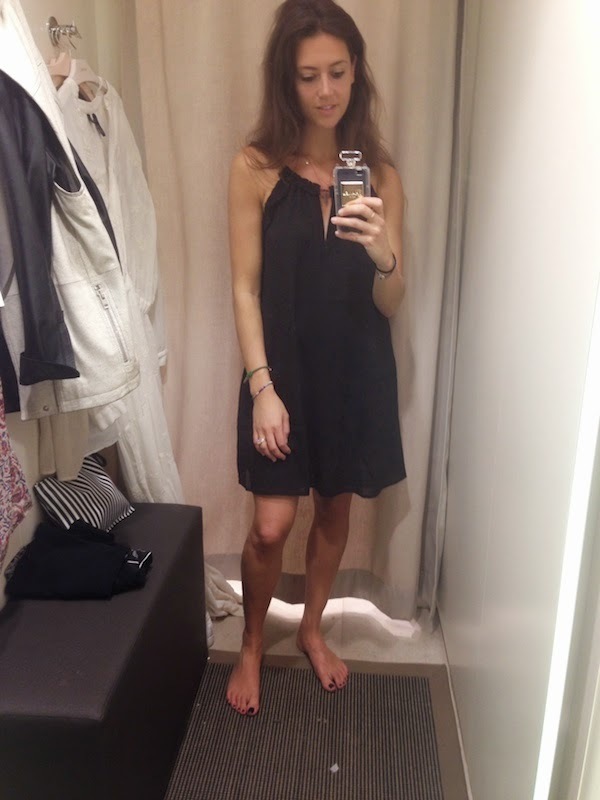 Casual and understated yet totally elegant this dress runs a little large to size so I would suggest sizing down. It is sold out online but still available in Mango stores. 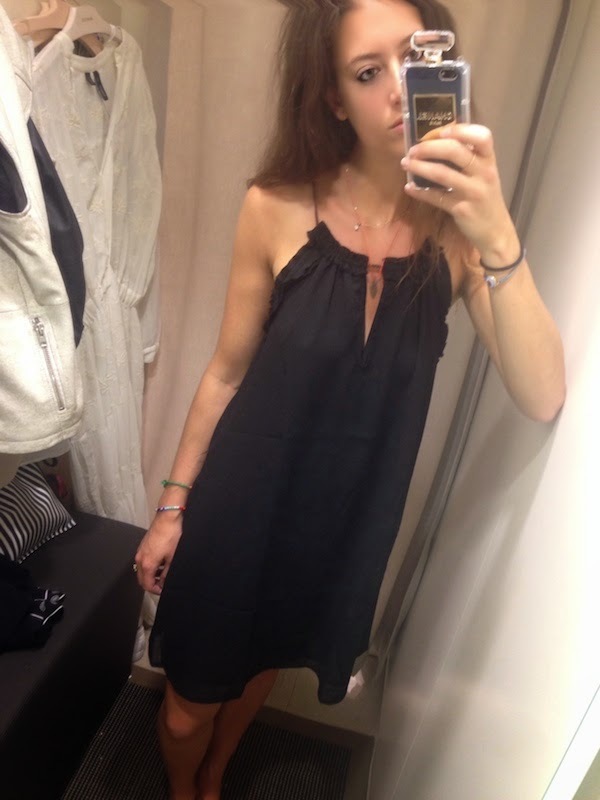 This black linen dress with rope detail (£29.99, Small) is that easy, throw on dress you bring out every time you don't know quite what to wear. It comes in a variety of colours so you could probably get away with wearing it at least three times a week without people talking about you behind your back. 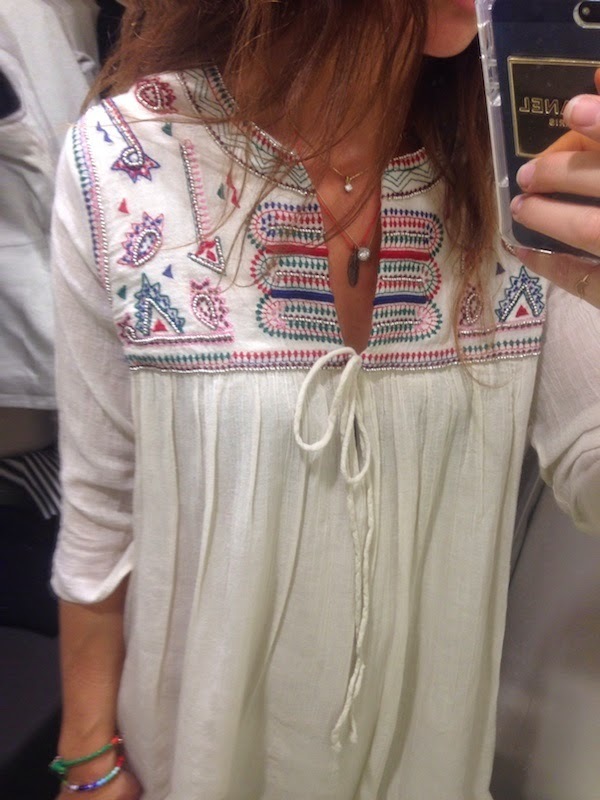 It's hard to see from my pictures the delicate beading on this embroidered tunic dress (£49.99, Medium), but it's the kind of detail that makes this dress look way above it's £50 price tag. Throw on with this seasons Birkenstocks, et-voila! 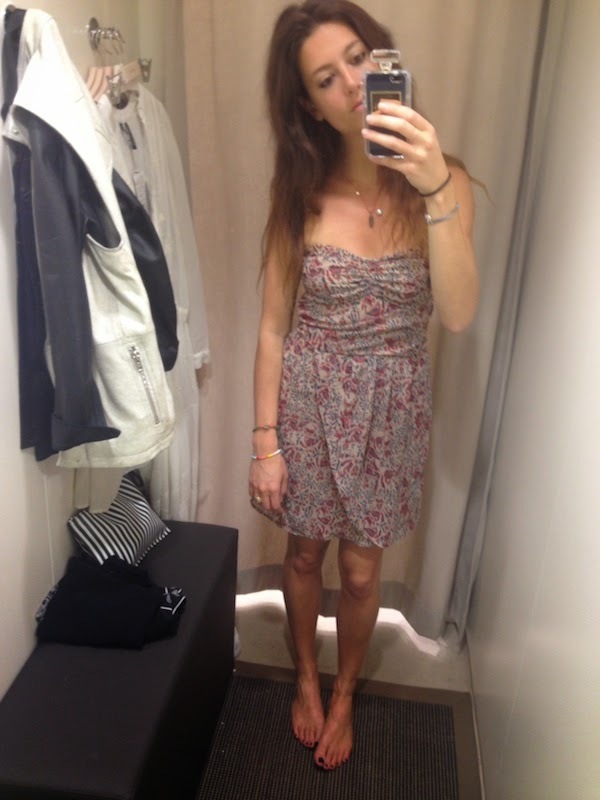 I'm not normally a fan of the 'girly dress', but this strapless floral piece (£19.99, Small) is more 'summers strolling through the lavender fields in a French farmhouse' than frilly princess. And for £20? A no brainer! Fits a little small so I'd suggest sizing up. The final dress on my Mango-does-dresses-like-no-other Stylist Shops today, is this perfect crochet white tiered sundress (£34.99, Medium) Now, not only do I love it because it is a shameless rip off of this Isabel Marant dress I've ogled all season, but I also love it for its easy-breezy wearability. Can't you just imagine walking the cobbled streets of a Greek island in this dress, carrying a straw basket? Now, dresses chosen, it's time to book a holiday. 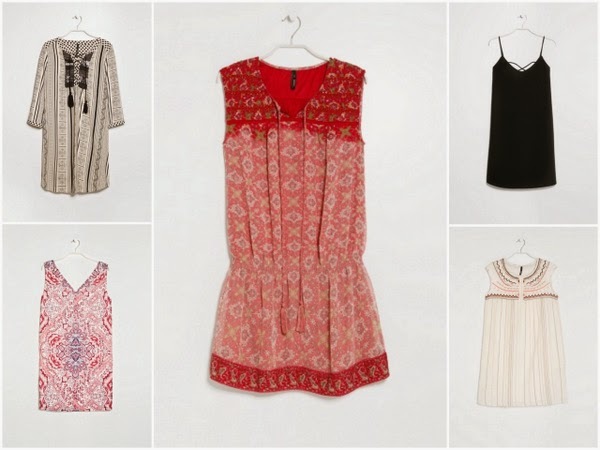 From top left: Embellished ethnic dress, Red Printed Dress, Black Criss Cross Dress, Paisley Print Dress, White Ethnic Embroidered Dress. Love this post! I never would have thought to look in Mango before as always thought it was just office-wear, but these dresses are amazing. Thanks for enlightening me - I know where I'll be going this weekend!